Since 2010, the initiative for coffee&climate (c&c) implements its vision to enable coffee farmers worldwide to adapt to climate change. See how this resulted in climate-smart innovation in Usa River, Tanzania. Ubunifu is the Swahili word for creativity. And not only in Tanzania one needs a little bit of Ubunifu in order to be successful and make a difference in protecting the climate. The Mbokomu Youth Group in the Kilimanjaro Region found their way to differ from others. 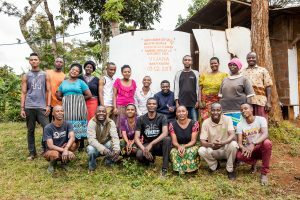 Challenged by the need for energy for cooking and seeing how much they affected natural resources, the group of young coffee farmers found their own solution. Their aim: protect the climate, limit deforestation and making their farms more sustainable. Now they produce eco-friendly charcoal. Besides tilling their coffee fields individually, they work together as a group in this very interesting project. 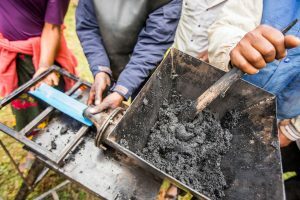 Instead of chopping trees or bushes to gather material for their charcoal production, the farmers use harvest residues. That can be anything from coffee tree leftovers to old maize plants, branches and weeds. What they do not need for other Climate-Smart Agricultural Practices like mulching is collected. No solution comes without a challenge. Unlike wood the harvest residues are no longer solid after being burnt. Therefore, the ashes need to be mixed with a binding agent so it can be formed into charcoal briquettes. To stick to their environmentally friendly guideline the young farmers use corn flour as a binding agent which is also a waste product. The corn that is not good enough to be eaten is grounded and mixed with water. This mass is combined with the ashes and formed into briquettes. The youth group sells these for about 500 TSH per kg at the local market. The young coffee farmers were coached through the initiative for coffee&climate (c&c) to implement this practice. Unfortunately, in rural Tanzania there is still little knowledge about the sustainable use of natural resources and even less is put into practice. And that is what makes this project so unique. Still there is a long way to go for this energetic group to make their communities fully ecological sustainable. 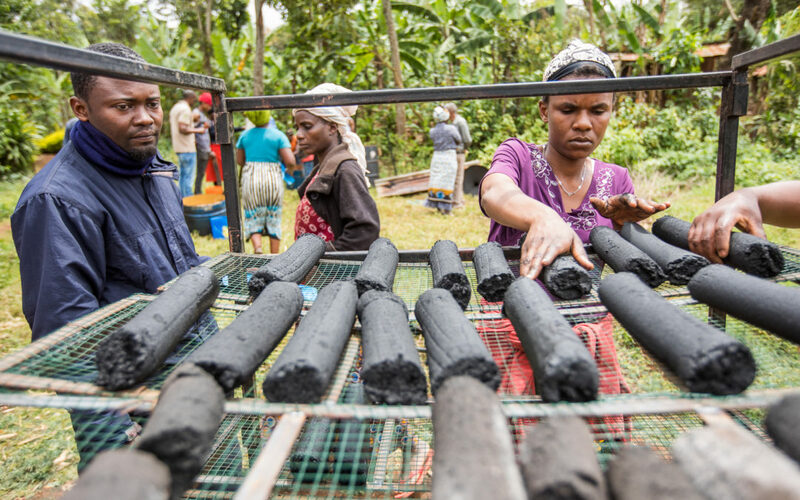 With the production of environmentally friendly charcoal a start has been made and this “green” business also increases the incomes of the youth group members. A win-win situation for both nature and human.